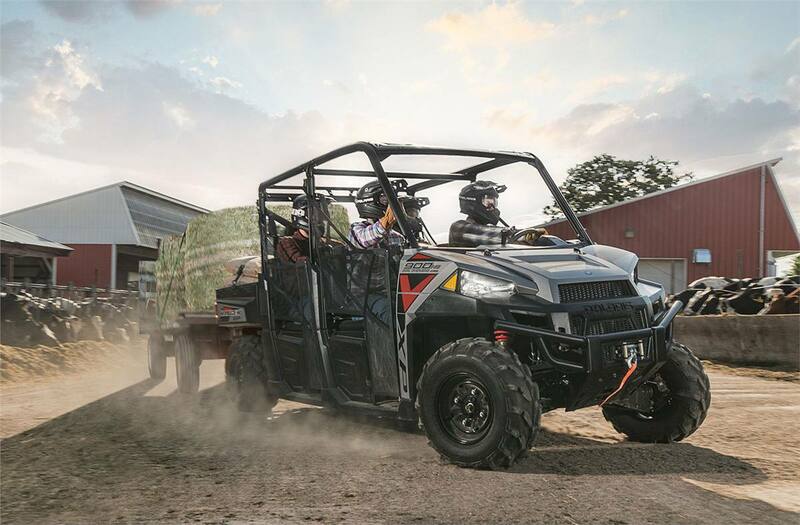 Best-In-Class 6-Seat Performance: Delivering the hard working performance and smooth riding comfort of the best-selling RANGER XP® 900, with room for 6 so you can bring the whole crew. Haul More. Work Harder. Get More Done: Hook up your trailer to the standard 2" receiver hitch and tow up to an impressive 2,000 lb. of supplies and haul an additional 1,000 lb. in your cargo box for a long day of work on the property. 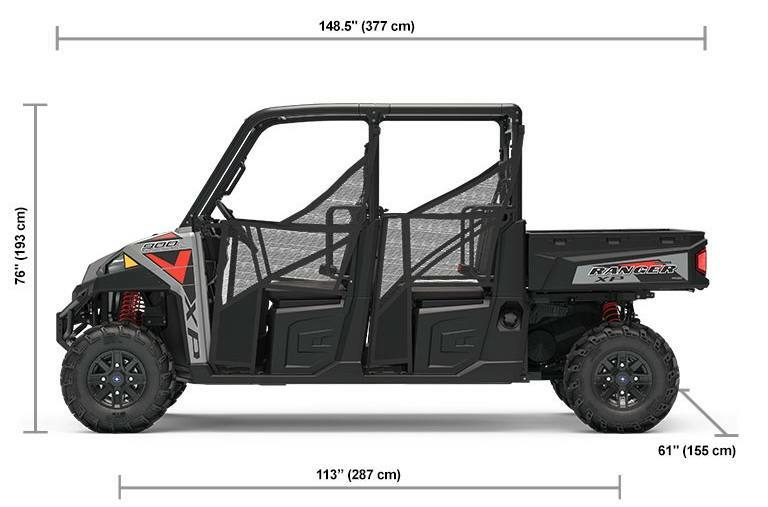 The RANGER CREW XP 900 is the utility side-by-side you need to take on the big jobs and get more done in fewer trips. Work faster so you can play harder. 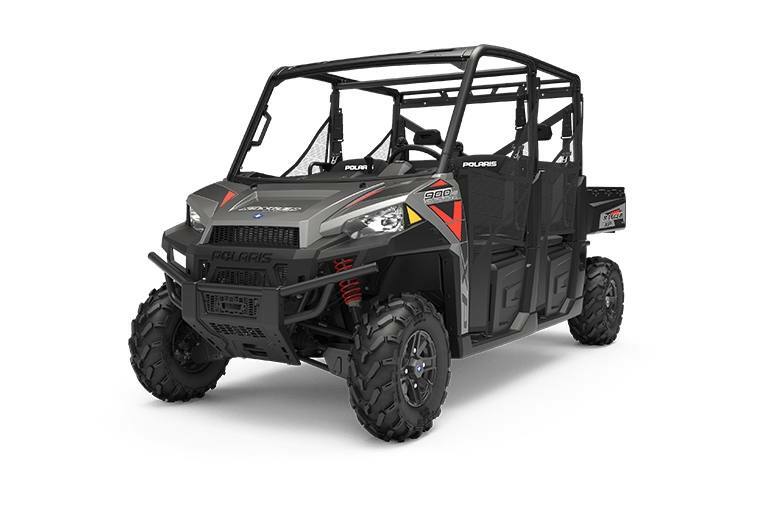 Smooth Ride And Handling: The RANGER CREW XP 900 delivers all-day cab comfort, whether you're on the trails or working on your property. With 10" of up-front and independent rear suspension travel, plus 11.3" of ground clearance for tough terrain, you're ready to handle any obstacle the off-road throws at you. 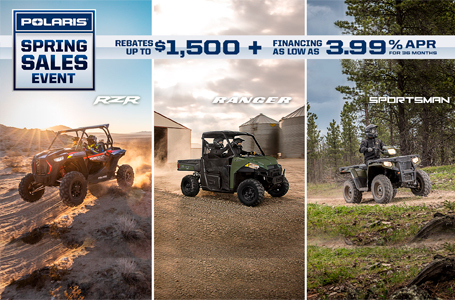 Best-In-Class Payload Capacity: The RANGER CREW® XP 900's massive 1,750 lbs of payload capacity will help you tackly the big jobs or haul all of your gear for the big hunt. Impressive Stance: A confident stance with 11.3" of ground clearance while riding through the property and off-road terrain.